Earlier chapters of this book, undoubtedly informs us of the Messiah (Christ) directly. Matthew 2:15 “And was there until the death of Herod: that it might be fulfilled which was spoken of the Lord by the prophet, saying, Out of Egypt have I called my son.” Some background is needed to understand what this verse is speaking of, Herod was seeking to kill Christ as a child. Joseph being warned, fled to Egypt until the death of Herod. Matthew quoted the prophet Hosea which some find troubling. Hosea 11:1 “When Israel was a child, then I loved him, and called my son out of Egypt.” A popular argument by those that do not believe in Christ is that Hosea was not talking about Christ. Instead they contend that he was referring only to the nation of Israel when they came out of Egypt in Moses time period; ignoring the obvious mentions prior to this chapter. Hosea 11:2 “As they called them, so they went from them: they sacrificed unto Baalim, and burned incense to graven images.” The following verse shows indeed that Israel were called out of Egypt. However they went to graven images, therefore losing the right to call themselves sons of the living God. 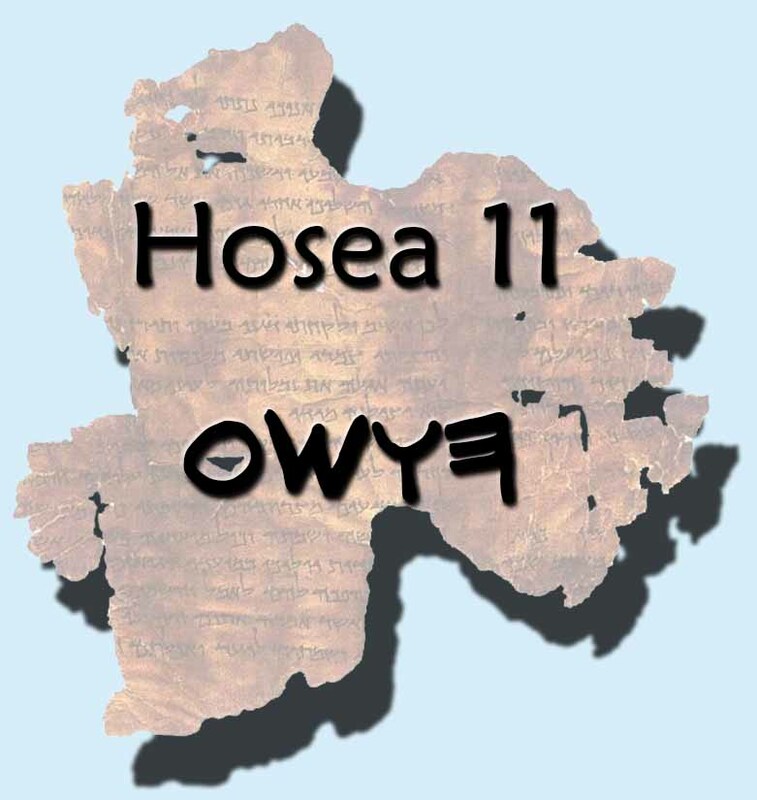 See, Hosea 1:9-10. Our head, the Messiah is the reason we could return the Heavenly Father. Please read, Hosea 3:5. After being given such mercy, we should not throw it away by making our head into a graven image. True believers will not find it difficult to defend the Messiah in his word. But those that follow images will not be blameless, in fact they will be the cause that some of the little ones will be confused. How is Matthew justified in using this scripture as a prophecy of Christ? Hosea 12:10 “I have also spoken by the prophets, and I have multiplied visions, and used similitudes, by the ministry of the prophets.” A similitude is the likeness between Israel being called out Egypt and Christ. In other words the prophets wrote scriptures that were parables or allegories to convey a message. Right within the book of Hosea we are shown that Matthew is completely justified. More importantly being filled with Holy Spirit he was able to concisely explain that Christ is the Son of God, as many prophecies have stated. To read along while you listen visit the following link: http://12tribes.net/bible/hos11/ Shalam!